Once you’ve finished writing your manuscript, then you’ll need to figure out the different ways you plan to publish your book. You can publish your manuscript in multiple ways. You can publish digitally or you can put it in print, or do both. I like to release the paperback version of my book first, take it to bestseller status, and then release the Kindle version about six months later. Plus, you can do all this via self-publishing or traditional publishing. 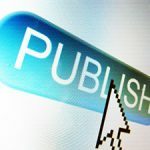 Self-publishing your book is a lot faster, but if you already have a huge following that you know will buy your book in large quantities, and you want to publish traditionally, it won’t hurt to give it a try. 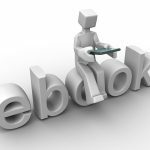 PDF / Digital – You can make a PDF book (also known as an eBook) easily using Adobe Pro, Pages (MAC), or MS Word. If the book will be downloaded from your own website and you’ll be handling distribution or using Clickbank.net or JVZOO.com or one of these systems, then you’re in charge of how your book looks and is formatted. The trick here is to make an attractive, readable, organized book with plenty of whitespace and images so that it’s a pleasure to read and it all makes sense. Jim Edwards continues to have the very best training on exactly how to write, publish, and market your eBook professionally and profitably here. Kindle – This is also a fast and free way to get published. But, you do have to follow the terms of service and the rules of formatting to ensure that your book looks good. You can turn your edited manuscript over to someone else to format your Kindle book or you can follow the easy directions here. Pay special attention to how to format images if your book has any. And remember that if you sign up for the Kindle Select program you will not be able to offer your book for sale on any other websites, including your own, during that period of time. Print – Using Amazon’s Create Space you can self-publish your manuscript. Like Kindle, you’ll need to follow very specific formatting rules to ensure that your book looks good. Or you can turn your finished manuscript over to an expert to help you format it and get it ready for publishing. No matter how you publish, it’s very important to have a professional cover created for your book. Look at other books to find out the type of things they put inside the book, too. You want your book to look completely professional and for no one to be able to pick it out of the crowd as done by an amateur. You can accomplish that by yourself or you can hire help. Let’s talk a moment about self-publishing your book vs. traditional publishing. There are a lot of misconceptions about both. First, people assume that with traditional publishing you’ll get a ton of help with marketing your book. But, you won’t. This only happens if you’re super famous already. So, put it out of your mind that you won’t have to work as hard if you find a traditional publisher. Secondly, the idea of growing a captive audience with your own published book doesn’t require that you find a traditional publisher. It will work with self-publishing and it will be many times faster and frankly, a sure thing. If you write a good book, self-publishing is going to be a great choice. If you don’t write a great book you wouldn’t be able to publish traditionally anyway. So remember, a good book is more important than how you publish. Thirdly, when you self-publish, if you market and promote your book properly after having built up an audience for your book, you’re going to earn more money in the long run. When you publish traditionally, you will usually make less per book. Often, the money is not even made in the sale of the book, but rather in the connections you make due to the book with your audience and others who then buy your other products and services based on how much they trust you. 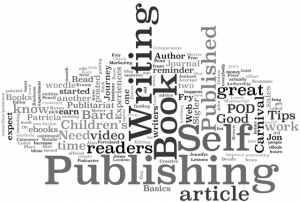 Self-publishing your book will increase your credibility almost overnight. It may lead to speaking engagements, joint ventures, and other opportunities. What other questions do you have for me on this topic? 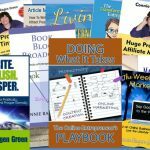 I’m Connie Ragen Green, online marketing strategist, bestselling author, and international speaker on the topics of entrepreneurship and inner game mind shifts. Let’s connect to see how I may best serve you in the near future. And be sure to check out my writing and publishing training program at Write. Publish. Prosper.